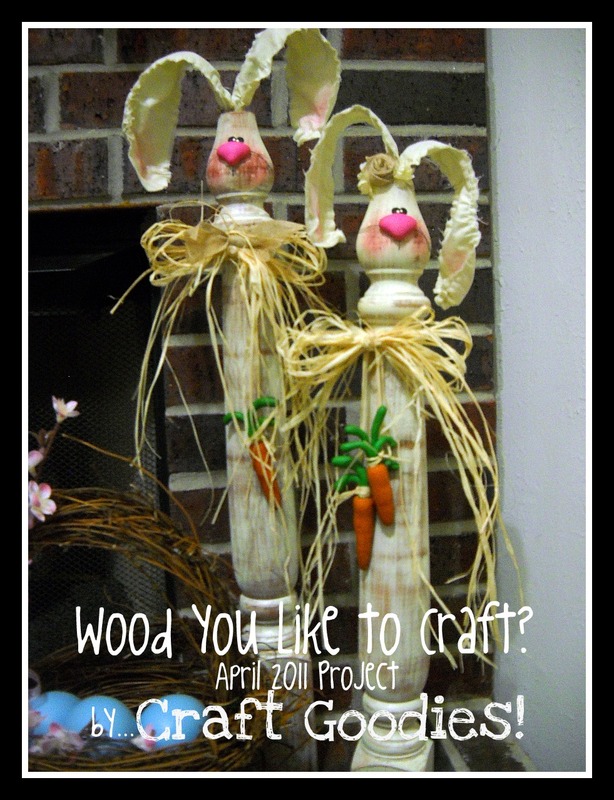 Sassy Sanctuary: Wood you like to craft?- Link Party! It's time for the Wood you like to craft? Link Party! I am so excited to see all of your versions of this months craft! And if you can believe it, this is the first ever link party at Sassy Sanctuary! 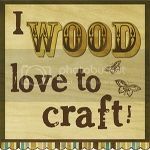 If your are new here, Wood you like to Craft? is a bloggers craft group. We have gathered four fun blogs that have a love for wood crafts. Each month we will be creating one project selected by the "host." Then each of the other bloggers will take a turn showing their variation of the same craft. But we want you to join in too! We will have a week long link party so you can make and share your take on the month's craft. We can't wait to see all the twists and turns one project can take! 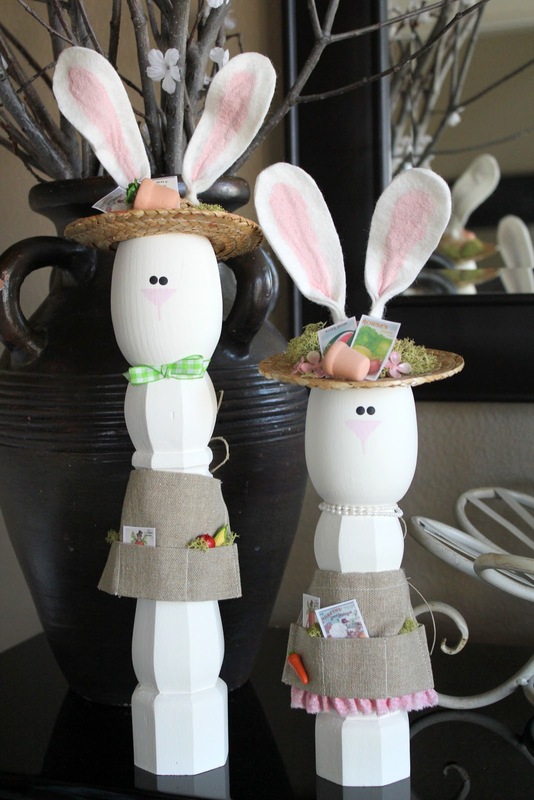 For the month of April, I came up with these Candlestick Rabbits. Then the other four ladies blew me away with their versions. Wendy from Craft Goodies made hers extra large out of table legs. Melinda from Under my Umbrella made hers from finials. And the Crafty Sister (Candace and Nicole) made their "farmer" rabbits from smaller table legs. So much fun! But now its your turn﻿, we want to see what you made! The link party will be open for a week so you have plenty of time to get some made. (They are super easy, I promise!) We will showcase our favorites next weekend and the "top cut" will win a prize. So get linking! 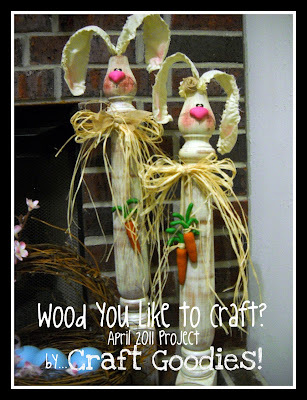 This link party is for Wood you like to craft? projects only. Your project can look as similar or different then ours, as long as it was inspired by this months craft.